Our specialist environmental clean-up and waste removal services are available on a 24 hour basis. Simply call our emergency response number 0800 54 22 103 to speak directly to a member of our team. They will manage the entire process for you, keeping you fully informed throughout. In accordance with Environmental Protection Regulation (EPR) permits, all drummed and packaged process waste must be sampled prior to acceptance, and accompanied by the appropriate MSDS sheets. In order to maintain our high level of service Airload Environmental are continually collating data and collecting samples to ensure that our clients remain fully compliant with the latest legislation. Oil and fuel tanks require regular decontamination to remove solid material that accumulates during the operational life cycle of the tank. Airload Environmental has extensive experience in emptying and cleaning a range of tanks and vessels containing contaminated solids, chemicals or incompatible products. Our pharmaceutical waste disposal service covers out of date materials, manufacturer’s product re-calls and site clearances for decommissioned laboratories used throughout industry, hospitals and schools. Airload Environmental provides a complete service from the initial enquiry stage, through the survey, identification and listing of materials, to the routing for authorised disposal and issuing a Duty of Care Consignment Note. Whatever the waste stream, Airload Environmental can advise upon and supply a comprehensive, cost-effective range of containers suitable for the storage and transportation of hazardous waste. Airload Environmental can carry out a survey before any removal process is put in place. By doing this it allows us to identify the level of asbestos in the area. Our specialist trained staff will then isolate the problem and dispose of the asbestos in enclosed skips ranging from 6 yards to 35 yards. As part of our company environmental policy Airload Environmental aims to recover and re-use or recycle as much material as possible during the disposal process. 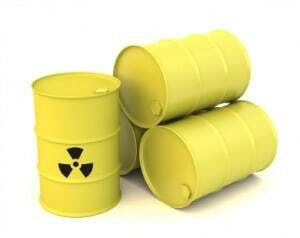 Oils, paints and thinners are either reclaimed or used as secondary fuels. Plastic drums are washed, shredded and recycled. Steel drums are either recycled back into the steel chain or re-furbished and re-used (subject to condition). Out of spec raw materials can be recycled and re-sold subject to specifications. Airload Environmental utilizes a nationwide network of facilities to provide an efficient bulk liquid collection service. Using vacuum tankers we collect a variety of different hazardous and toxic waste materials including oils, oils & waters, various effluents, caustic and acids from 2,000 to 6,000 gallons. Many laboratories have an on-going requirement for the collection and disposal of analytical process chemicals in small volumes. In other cases out-of-date or unwanted stock needs to be cleared to provide much needed storage space. The on-going waste streams can usually be quantified by the producer, but the site clearances usually have to be listed, identified, surveyed and packed into drums using an inert media by chemists before the materials can be collected. Pesticides, Herbicides, PCB’s and other red list materials must be disposed of correctly, in line with current legislation to reduce environmental impacts such as soil, surface and ground water contamination.